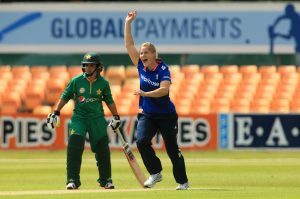 This summer will give sports fans in the North West the chance to watch the best female cricketers in the world play live. The Kia Super League launches at the end of July and ticket prices will ensure that everyone can come and join in the fun. Existing Lancashire County Cricket Club members and NatWest T20 Blast season ticket holders will gain free admission to home games. There will be 6 teams competing in the inaugural T20 competition starting Saturday 30 July through to Sunday 14 August culminating in finals day on 21 August at the County Ground in Chelmsford. Lancashire Thunder start their campaign with a friendly against Loughborough Lightning on Friday 29 July 1pm start at Emirates Old Trafford prior to the men’s fixture between Lancashire Lightning and Birmingham Bears. The team get underway for their first fixture in the Kia Super League on Sunday 31 July against Western Storm at the Cooper Associates Cricket Ground (Somerset) 2:30pm start. There will be two home fixtures, first against Southern Vipers at Blackpool CC on Friday 5 August 2:30pm start, and the final group match against Roses rivals Yorkshire Diamonds at Emirates Old Trafford on Friday 12 August under floodlights, 6pm start. Tickets for this year’s competition are very competitively priced at £5 for adults and £1 for Under 18s. Those that are 2016 Lancashire County Cricket Club Members and supporters who have purchased a 2016 NatWest Blast T20 season ticket will be able to watch Lancashire Thunder home fixtures free of charge on production of their Membership or season ticket cards. 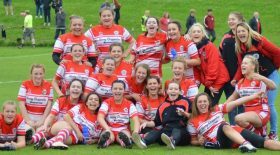 Bobby Cross, Lancashire Thunder’s General Manager, said: “This is an unprecedented time for the Women’s game and for the team to be playing at Emirates Old Trafford and Blackpool CC is particularly exciting for both players and supporters alike. “We have been keen to ensure that ticket prices mean that the matches are affordable for all and we are looking forward to seeing a new audience at the games as the Women & Girls game continues to grow. Those that come to our home games will enjoy not only the cricket but the chance to interact with the players and to have a go themselves thanks to the Thunder & Lightning Roadshow activities. Tickets to the two home fixtures can be purchased here. Report courtesy of Lancashire Cricket Board.